Posters and petitions against the closure of public toilets which serve tourists using the popular NC500 route have been removed by Highland Council. Campaigners fighting against the planned closures of the loos in north-west Sutherland were furious when they made the discovery. Margaret Meek, a member of Kinlochbervie Community Council, said they and other community councils had put posters on the doors of toilets in Scourie, Rhiconich and its own village. They had also put petitions inside for tourists and locals to sign. However, she said these had been removed without any prior notice. The council earlier this year agreed to axe 29 public toilets across the Highlands and Islands during its budget discussions in a bid to make £338,000 savings. They have offered communities the option to take over responsibility of the toilets but, if this was not taken up, they would close on August 31. Ms Meek said: “We are aware that we placed notices on public property but didn’t think that the signs would be removed since they were not commercial advertising. “We feel that removing the signed petitions is outrageous. Highland Council represents the people of the Highlands, surely we have a democratic right to protest an unpopular decision. “We placed the petitions in the toilets because we wanted to reach out, particularly to tourists. 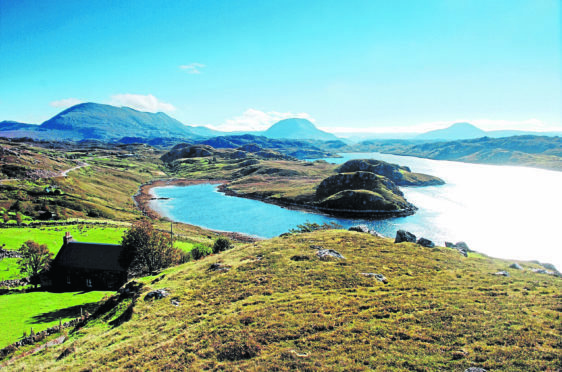 She added: “Kinlochbervie has a population of only around 400 people. Local volunteers are already involved in developing plans and seeking funds for a football pitch, the village hall and the redevelopment of a derelict pier. “A community group has only just completed the refurbishment of our local community-owned playground. We feel that we do not have any extra volunteer capacity or expertise to take on the toilets. The three community councils in the area launched a petition in April and it has so far had more than 5,400 signatures.